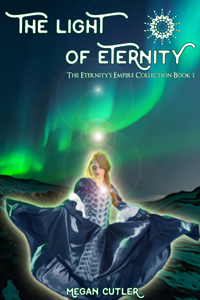 This month’s chapter of Eternity’s Empire is all about Thora, the goddess of thunder! As with chapters eleven and twelve, I thought I would offer a peek at my notes to get you pumped for her story! In terms of mythologies I wanted to include in Eternity’s Empire, Norse is one of the ones I know most about. So while writing characters like Ganga and Amaterasu require hefty amounts of research before I commit anything to character canon, Thora is a bit of a breeze to write. My husband has a particular love of Norse mythology that has driven both of us towards hefty prior research on this topic, including purchasing copies of The Elder Edda and Sagas of the Icelanders. Most people tend to be at least somewhat familiar with Norse mythology, since many famous fantasy stories – such as Lord of the Rings – find their roots in these ancient tales. Certainly telling a story based on Norse mythology offers a lot of options since there are nine worlds set along the branches of the world tree, numerous races – including elves, Dwarves and Giants – as well as two different sets of gods – the Aesir and Vanir – and a fair number of magical weapons and creatures to choose from. I wanted to make an old story new. 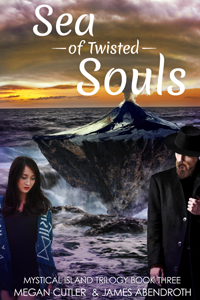 To take full advantage of these possibilities, I started with the struggle between the Aesir gods and the Giants, which also allowed me to choose a character from their number. Skadi was an easy choice, but we’ll talk about her later. 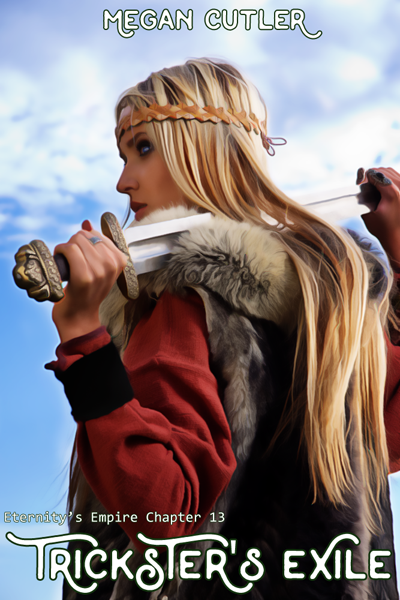 My first instinct was to choose Freyja as the Norse guardian, since she’s one of my favorite mythological figures. Unfortunately, this posed several problems. First, Freyja is commonly associated with love and fertility, which makes her similar to Aphrodite, the goddess I favored for the Greek pantheon. Secondly, Freyja belongs to the Vanir pantheon, which needlessly complicated the first plot arc. And finally, her abilities are largely earth-based, and I wanted to reserve that territory for Gaea. That left me with something of a quandary. When I considered the most elemental of the Norse gods, Thor became the obvious choice. But I shied away from Thor for two reasons; first, Marvel’s Thor franchise had just become wildly popular and I didn’t want to be accused of copying. 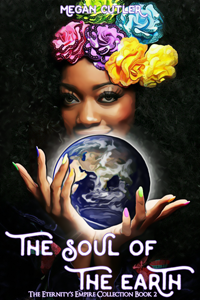 And second, I wanted a cast of goddesses. But the more I pondered the possibilities, the more I felt I should go for it. Marvel’s writers are hardly the first to draw on Norse Mythology; Odin and Loki feature heavily in American Gods, for example. And if I was looking for goddesses, why not gender-bend my version of Thor? It would certainly help make my portrayal more unique. My research even provided a handy feminized version of Thor’s name! Of course, the moment I thought of female Thor, my mind drifted to a female Loki. And I was so taken by the idea of a female Loki that I was instantly sold. Thora got the position of warrior guardian and, as you can probably guess, her backstory involves her half-sister Loki. Mythological tricksters aren’t traditionally evil. Though none of the Norse Edda actually depict Thor and Loki as siblings, it has become a common thread in modern stories. Probably because their adventures so often put them at odds with each other. I decided to draw on this thread because Loki has a special place in my heart, mostly because he’s a trickster. Today, tricksters are often assigned the role of villain, but that’s not how they were viewed by ancient cultures. Tricksters can be as helpful as they are harmful. For example, Loki once got himself into trouble with the Aseir by trading the goddess Idun to the giant Thiazi, who had captured him. His cowardly desire to protect himself forced him into the position of rescuer when the Aseir demanded he retrieve Idun. But when Skadi showed up for revenge over the whole incident (which resulted in the death of her father), the gods were forced to rely on Loki’s talent to entertain in order to soothe her frazzled temper. As I’ve mentioned on numerous occasions, I don’t like traditional depictions of good and evil as black and white. The world exists in shades of grey and stores should address that. A trickster like Loki is the perfect way to include such scenarios in my story. Who are the good guys? Are the bad guys really bad? And are there a few extra sides our heroes haven’t gotten around to discovering yet? When it came time to translate Thora into her human counterpart, I ran into some trouble. 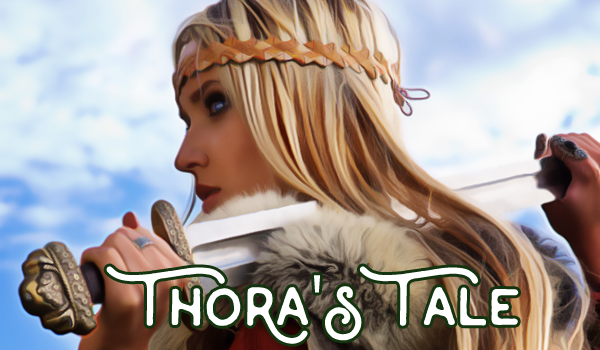 Thora’s personality largely centers around warrior culture, honor and discipline, things that don’t translate to the modern era as easily as some of the other goddess’s traits. In the end, I made her a wanderer, someone who enjoys hiking and backpacking, both for the physical challenge and to experience the wonders of the world. She’s loosely based on a former co-worker of mine, who often embarks on months long hikes. For Thora’s human counterpart I skimmed several list of Norse names which have survived the centuries. I settled on Birgit, which means strength. Brigit isn’t as interested in academics as the other characters, mostly because she hasn’t pinned down what particular area of study interests her. 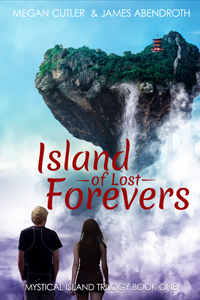 But if there’s one thing you can count on, it’s that Thora will always be faithful to her friends. Learn more about Thora in the latest installment of Eternity’s Empire – Trickster’s Exile, available now! 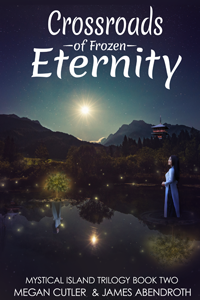 You can catch up on the Eternity’s Empire series here!